One of our signature wines, seven months on new French oak, this Chardonnay is divine. Aged for two years now, it no longer has the light mouth feel of a young Chardonnay. Influenced by the oak it has aged to a medium-bodied wine with a light yellow hue; it is a wine that is simply delicious. A versatile wine and chilled to about 13 degrees (this is subjective) it is perfect with a soft goat's cheese; foods such as salmon or trout, or chicken dishes with an Asian touch. A classic Hunter wine exhibiting the typical stone fruit and apple acidity of the variety this wine is perfect to drink now or to cellar for a few years. The grape varietal is Pinot Gris (French); grown on our estate since 1983, Gris and Grigio (Italian) are terms used in Australia to reflect the different styles made from this varietal. 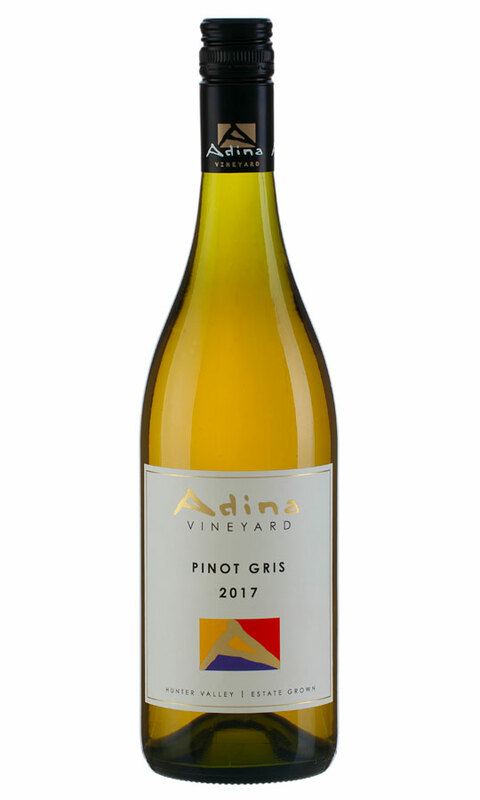 This Pinot Grigio is medium-bodied; dry and fruity, exhibiting flavours of quince and baked apple; it has a lightly pink hue due to the skins being left on for a short time. This 2018 vintage is already very good drinking, dry but fruity. Pair this wine with salads, pastas and seafoods, it is a delicious accompaniment to white meats, including veal and chicken OR drink it on its own. Made from a Semillon base, this Prosecco-style wine is fresh and lively with sprittzy bubbles. It has a crisp fruity palate with aromas of citrus fruits and green melon. It makes a refreshing aperitif and is a fantastic wine to start any occasion. Try on ice with a twist of lime. Match with spicy food, seafood, sushi or sashimi. Zesty and acidic this 2017 Pinot Gris is deliciously dry with a lasting mouth feel. When picked, the grapes are a purple-red colour, the skins of which are left on for a short period to give the wine a lightly pink hue. Pair this delicious wine with spicy seafood dishes or an antipasto. A crisp and pale straw-coloured wine with light herbal notes on the nose. Fresh lemon and lime persist throughout balanced by an underlying steely acidity. True to the style of a classic Hunter Valley Semillon demonstrating good length and structure; this wine has the citrus freshness of youth but if you are able, store it for a few years as it will age beautifully. 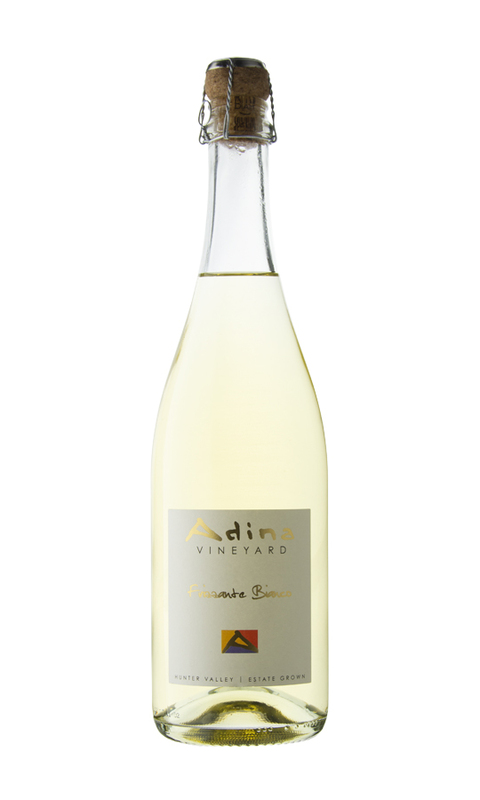 If you are eating a food that you would squeeze lemon juice onto, pair with this Adina Vineyard Semillon. This 2018 vintage Verdehlo is simply that, vintage: high quality and lasting in flavour. A semi sweet beginning with a beautiful dry finish. 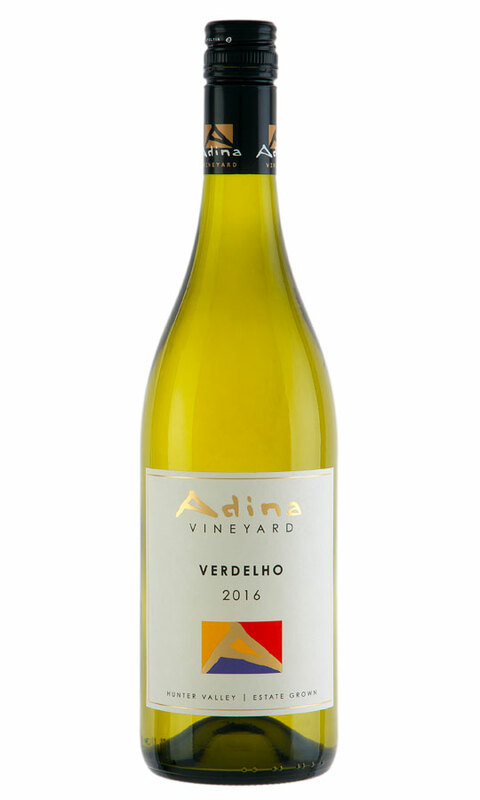 Unfortunately our Verdelho sells so fast we don't have time to discover its aging flavours. Verdelho is one of the first grapes to be planted in the Hunter Valley where the climatic conditions are ideal for growth. Initially planted for use as a fortified wine and more recently prized for making a deliciously tasting table wine. 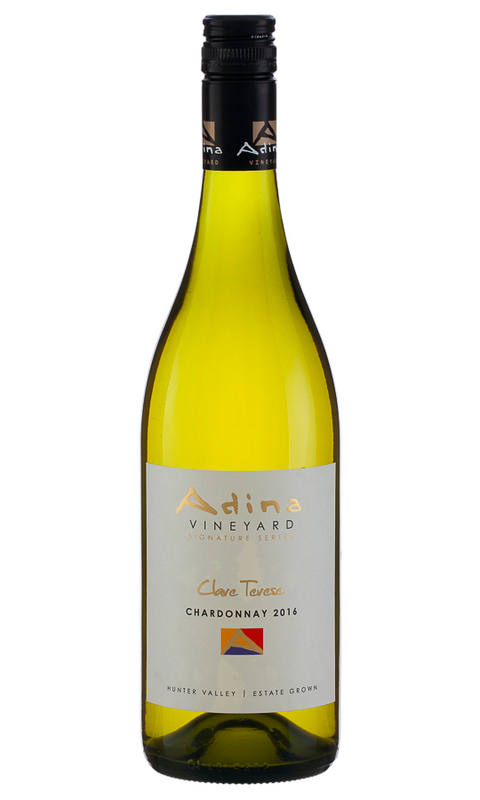 Adina Vineyard Verdelho typifies the classic Hunter style of wild pear and Granny Smith apples; a lovely balanced wine with a crisp acid finish. This wine is fresh in flavour and does not have the sweetness of some Verdelhos, there is a delicious finish on the back palate. Thanks to the skills of our winemaker, Dan Binet, we have available a fruit-flavoured and dry easy-drinking wine.